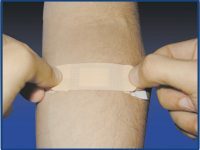 Blue Metal Detectable Plasters and Dressing Strips are supplied with an Aluminum sheet under the wound pad that can be detected by metal detectors. 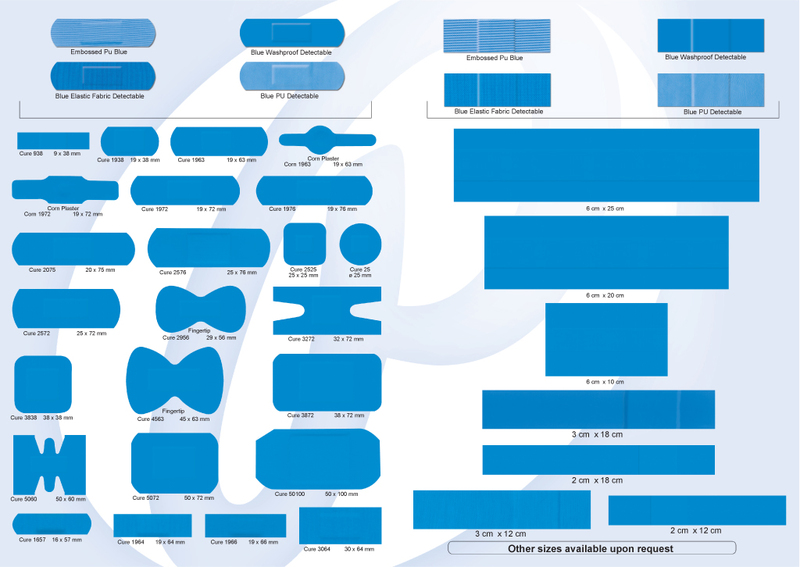 Blue Metal Detectable Plasters and Dressing Stripsare ideal for employees working in food processing factories, restaurants …etc. It protects against cross contamination between blood, body fluids and products handled. At the same time Blue Metal Detectable Plasters and Dressing Strips can be visually detected due to its blue color and/or detected by metal detectors. Blue polyethylene film wash proof. Blue polyurethane film waterproof, breathable, bacteria proof and virus proof. Blue elastic fabric which is breathable, stretchable and conformable. Blue embossed polyurethane film waterproof, stretchable, breathable and bacteria proof. 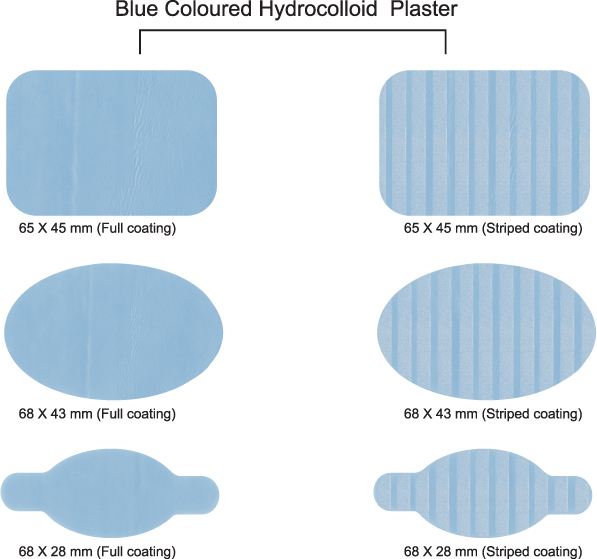 Blue hydrocolloid dressing which gels upon touching wound exudates promoting cushion effect and wet environment which facilitate faster wound healing. Used for blisters and to absorb wounds exudates. All products are tested according to ISO 10993, hypoallergenic, non cytotoxic and latex free. All products are ideal to cover minor wounds, abrasions, superficial wounds and skin cuts in food processing factories, restaurants,………etc. 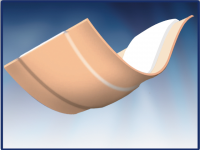 Blue visually detectable hydrocolloids are used for moderately exudating wounds and blisters. NOTE: Apply to clean dry skin.